BRIDGE HOLIDAY. You will feel comfortable in every single corner of the newly renovated Hotel Laguna Materada, with its kind and professional staff, superb amenities, and terraces. spectacular views of the historic centre of Poreč and unforgettable sunsets over the blue Adriatic Sea. Half board accommodation includes drinks with your evening meal, juice, water, red and white wine, draught beer. Show cooking and buffet Dinner. 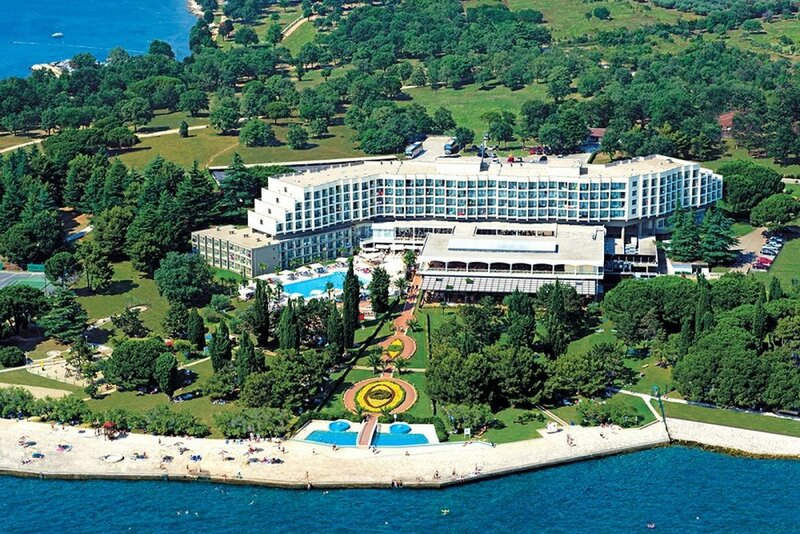 Ranked by Trip Advisor 11 of 33 Hotels in Porec. Less than 50 minutes from Pula Airport 3km from the Poreč city centre and 100m from the beach. There is free to use WiFi, Safes and air conditioning in all bedrooms. Price includes group private airport transfers, and all bridge fees, Master points & prizes. Directed and Hosted by Mike and Jane. EBU master points awarded & bridge holiday vouchers to be won. Pre-Dealt boards and hand records available for the evening sessions. Morning bridge is subject to minimum numbers. Interesting seminars and or morning workshops available on request.